Android devices are efficient and user-friendly devices which perform the range of tasks effortlessly. These tasks include calls, chats, taking pictures, listening to music, browsing, using apps and lot more. Ultimately all these tasks wreak havoc on your device battery life. Thus following some precautionary steps to save battery life make sense. 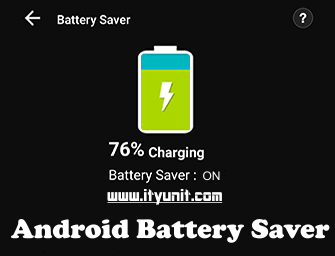 You can follow certain Android battery saver steps to extend your device’s battery life to some extent. Most of these steps include behavior changes while using your device. Let’s discuss some of these steps here. Use Dark/Black Wallpaper: If you are using AMOLED screen device, prefer to use dark-colored background wallpaper. Black or dark color wallpaper helps you increase your battery life as AMOLED screens only illuminate the colored pixels. Thus dark or black pixels remain unlit saving your battery life to some extent. Update Apps: Keep your apps updated at regular intervals as old apps require additional device resources. Every new update brings some fixes to improve your device performance including your battery life. These updates offer better memory and battery optimization. Don’t use adaptive/auto brightness: Auto-brightness feature consumes more device battery as it is usually way brighter then user really need. It is advisable to set the brightness level manually to a level that is low but comfortable. You can modify it when require. 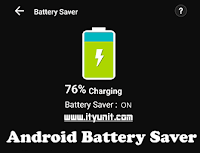 This is one of the effective Android battery saver ways to save Android battery as device brightness consumes lot of battery. Turn off vibrate mode: Switch off vibrate mode immediately if you are comfortable with ringing mode. Vibration on your device consumes more device resources and battery. Keep ringing mode for messages and calls you receive. 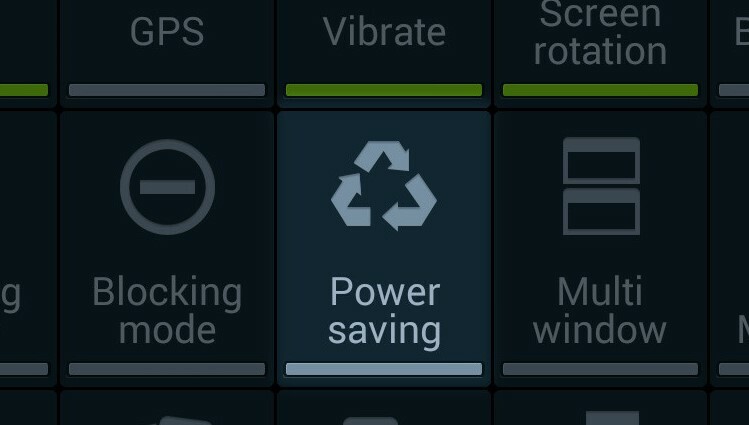 Turn on power saving mode: This instant feature can help you save your battery life significantly. To do this swipe downward from the top of your device screen to bring up the menu. Now scroll to the side until you find the power saving option and select it. This instant feature will stop all such services (brightness, notifications, etc.) on your device which consumes a lot of device resources including battery. Turn off supportive services: Turn off all supportive services like Wi-Fi Bluetooth, GPS, location services to increase battery life effectively. All these services run consistently and consume battery even when you are not using them directly. To turn off all these services, simply swipe downward from the top of your screen. Scroll sideways to find and deselect them. Disable auto-sync feature: Auto-sync feature keeps you updated with regular notifications from different apps/accounts and programs installed on your device. This way your apps constantly connect to servers to get regular updates thus cause battery drain. You can better refresh the app when you launch it rather falling into trap of auto-sync feature all day long. You can follow these simple steps to extend your device’s battery life. When applied individually these steps may not make difference but when you use these steps in a combined way, you can feel the difference. You can also use certain Android battery saver apps to boost performance of your device battery. These apps can help you reduce your manual efforts and time to perform battery saving steps.